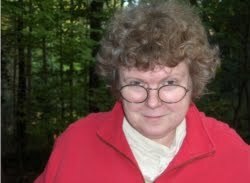 Let me introduce my guest blogger, the most excellent Anne Gracie, who's going to talk about Dorothea Brande, one of the most influential writers on writing. Oh. And we get just a peek at Anne Gracie's newest book, which is worth the price of admission all by itself. 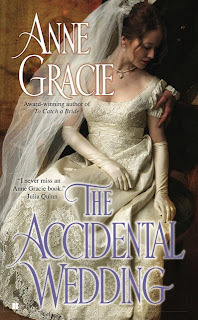 Anne Gracie will be GIVING AWAY A COPY OF HER NEW BOOK, The Accidental Wedding, to some lucky person in the comment trail. Jo kindly invited me on as a guest blogger because I have a book coming out this month. But Jo's blog is mostly about writing, so it doesn't seem quite fair to do a "Rah, rah, buy my book" kind of blog. Instead I thought I'd talk about training your muse and Dorothea Brande. Dorothea Brande was a writer and writing teacher in New York in the 1930's. She wrote a book called Becoming a Writer which is now a classic and is still in print. 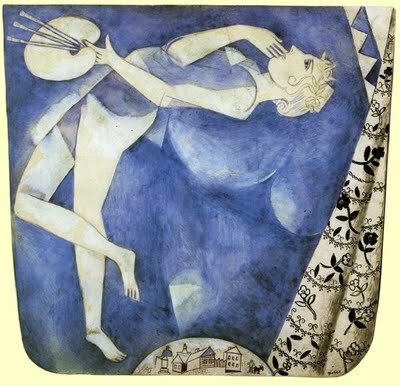 It was the forerunner to books like Julia Cameron's "The Artist's Way" and others. But Dorothea isn't the slightest bit new-agey. Her book is small and slender, her advice practical and quite pithy. The writing style is spare, elegant, and a little old-fashioned in places. Dorothea is as romantic about the writing process as a dog trainer is about training dogs — with good reason; she's on about training your muse to perform on command. But she also acknowledges there is magic involved — and that you can teach it to come to you. And it’s true. I can't do justice to her whole philosophy here, but this is my own nutshell version of Dorothea, which I've used on and off for more than ten years. First thing in the morning, before you "engage with the day," before you talk to anyone or eat or read the newspaper or check your emails (you can pee)— write. Write for a minimum of 15 minutes — it doesn't matter what you write. Let your imagination flow freely. Write down your dreams, ideas, random thoughts, snatches of dialogue, stream-of-consciousness, ideas for a story -- don't restrict yourself. It's best if you're still in that half-dreaming, half awake state. Don't try to revisit what you have written, don't even reread it. All that matters is that you write every morning for at least 15 minutes. The point is to train the unconscious to come to the fore and express itself, and for your imagination to begin to flow and blossom. When you've finished, look at your schedule for the day, find a time when you can write for at least 15 minutes, and make an appointment to write. No matter what, you must keep this appointment. If you're in the middle of something, you must stop and write. If you're ironing and have one more shirt to iron, stop and write. If you're in traffic, pull over and write. Accept no excuses or delays — more on that later. You can either continue with the free flow writing, work on a piece you've already started, write scenes or bits from a novel you're working on, start a short story — it doesn't matter. Again, it's only 15 minutes. Of course you can choose to go longer, but 15 minutes is all that's necessary to keep "the flow" going. Why keeping these times are important. I don't know about you, but my unconscious is always full of reasons why I can't write now and why it would be better to put it off and do it later. Keeping this appointment to write trains that expert in procrastination — my unconscious — that there's no point coming up with excuses. This trains the muse to perform on command. In the early days, the unconscious whines and wriggles and spouts excuses by the dozen. Stay firm, write your morning pages and keep your appointment to write, and soon you'll find it easier and easier to write when you can — and to write well. I used to believe I didn't dream a great deal -- only the odd strange one (brought on by cheese or something the night before ), but once I got into the swing of the morning pages, I recalled more and more dreams. It was amazing. And with the freedom to write anything, any way, my writing became fresher and freer and wilder, which fed into and enriched my books. As the morning pages became routine, some miraculous part of my brain started to anticipate the writing and there are times I wake up and find scenes unrolling in my head like a movie, ready to be written. A number of pivotal scenes in my books have come to me that way. 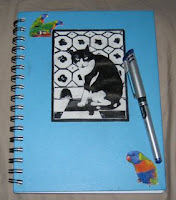 Here's an example — the scene here is very close to the scribbled down morning pages scene in my notebook. I must confess I don't always keep up the routine. Usually I "do Dorothea" religiously for a few weeks and once everything starts flowing, the routine gradually drops away. When I slow down or get blocked or have had a period of not writing, I return to Dorothea to get me back on track. And there's much more to her book than I've mentioned here. Thanks, Jo, for letting me visit. How wonderful to discover the new Anne Gracie book! What a delight in my the day. I will fully give in to the "rah-rah" book buying urge . . . and the advice on muse wrangling was much appreciated as well. A two-fer in my book. This is lovely. I've stayed away from Cameron because of the new-agey aspects, so this book sounds right up my street. I'm not romantic about writing at all anymore. And what a beautiful cover, too. Thanks for the guest post! My unconscious does many things beyond wiggling and whining, mostly unmentionable. So I won't mention them. So, I can get up, and pee (that's very important, you know), and then write. Fifteen minutes. Do I have to wait for my coffee? I hate waiting for my coffee. I mean, I really hate that. But I could learn to adjust, I suppose. Maybe. Kinda. Hope so. Thanks, Karen — I'm not very good at rah-rah-ing about my own books, but I'm trying to learn. About other people's books, I have no such inhibitions. Glad you enjoyed the muse-wrangling stuff. Just one small comment, that link to an excerpt is from an old book — The Perfect Rake. A scene from the new one did come from morning pages, but it's not the excerpt from the new book on my website. Practical and pithy is good, but is it normal to get a tummy ache at the prospect of a 15-minute writing commitment? And Anne Gracie, if you are reluctant to do a "'rah-rah, buy my book' kind of blog," you know how I feel writing a "please, please send me a free book" kind of post. Kim, one of the things I like about Dorothea is that in many ways she's so practical and down-to-earth and "dog-trainer-ish" — and yet she also says "I think there is such a magic, and that it is teachable. This book is all about the writer's magic." And yes, I'm so pleased with my beautiful cover. Thank you. Really Rude Rudy, my unconscious is a bit uncontrollable, too, so I appreciate your discretion in not letting it loose here. And yes, you can have your morning coffee — Dorothea is not rigid or petty — she's strict. Sometimes if I have a scene unrolling in my head, I'll write straight away (or I'll lose it) but on other days, like this morning, I made a large mug of coffee and took it back to bed to write. One of my favorite things is to take my coffee back to my bedroom, sit in bed with a big pillow at my back, with morning sun pouring through the bay window, and write. Annie, I do know how you feel — I hate asking for free stuff. But that's not what I expect here. This is a conversation about writing, that's all. And if the prospect of 15 minutes of writing turns your stomach to knots, start at 5 minutes, and then build up from there. You'll be surprised. Sometimes my morning 15 minutes will go on for several hours. And then, if it's a scene from the current wip (work in progress) I'll go to type it up and find I've exceeded my daily word count goal by miles. And what a joy that is. But remember, the morning pages can be about anything, and the idea is not to look back at them until you've done this for a few weeks and you're in the swing of being a writer -- the habit of being a writer. And Dorothea has advice about that, which is wonderful. But first, get into the habit of writing. And I try to write every day, but right when I get up is not a good time for me with 2 kids going to school and a toddler. 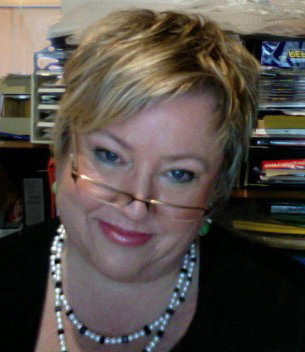 Jo, Thanks for having Anne as a guest blogger! Anne, I love Brande's book because it so clearly speaks to the reader. I need to go reread this again, just to hear that voice in my head again. Do you always do the morning pages and 15 min appt. writing long hand? I've had great luck with the morning pages, even on the computer. It helps me to just dump whatever is jouncing around in there and not worry about it for a while. Thanks for a timely reminder and thoughtful discussion. Looking forward to reading the Accidental Wedding! Thanks, Phyllis. If your name pops up in the draw, I could always offer you a different book — we'll see. What Dorothea would say to your morning problem is to wake up half an hour earlier and get your morning writing done before you get everyone up and ready. But I'm not sure if she had kids or not. Kaige, I am a horrible typist -- I never learned to touch type, and now have an unconventional, tho' fast typing method. Trouble is, I make quite a few typos when I'm firing, and I just have to go back and fix them. So, that opens the door a crack for the internal editor. When a book is well underway and the writing is going well and flowing well, that doesn't matter, but when I'm starting a book or am feeling a bit stuck on a scene I don't want that internal editor anywhere near me. So for me, handwriting is the answer. The benefit is that I can scribble down a few pages and then go to type it up and in the typing I improve it a bit as well, so I get the flow first and later the editing. Dorothea, OTOH makes no distinction between using a keyboard or handwriting -- she says to use whatever suits you. Just what I needed to get me going, today. Thanks Anne. And thanks Joanna for having a great blog. Thanks for satisfying my curiosity, Anne. Anything that keeps the internal editor locked away in her box is good in my book! Off to go pull my copy off the shelf and see what new bit of wisdom I walk away with this time! Fi, it's magic. 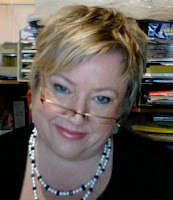 And Joanna's blog has so much gold dust writing advice, it's a wonderful place to explore. And other gems of advice. Anne, thank you for the encouragement. I'm off to order Brande's book! It works. Dorothea, that is. Anne's book is terrific, by the way! This has been a most interesting and enlightening blog! Thank you! The concept of writing, *first thing* each day is quite appealing when one considers how "muse freeing" it might be. I tend to dream almost nightly. By exploring these subconscious concepts while they're fresh, and with an unencumbered mind, I can see how easily ideas might flow. Another commitment to writing later in the day, makes perfect sense as well, training the mind to focus, during the day on the scenes written in the morning. Inadvertently, you have "pitched" your latest book, THE ACCIDENTAL WEDDING, by being chock-full of information. I'm thoroughly interested in reading a sample of your voice! Thanks Anne McAllister - so many annes and annies here we're moving to surnames ;) And thanks for the comment on my book. Disclaimer here -- Anne McA is my friend and critique partner, so she's biased. She's also a huge Joanna Bourne fan. CBlaire I hope you try the "Dorothea" system -- it's wonderful. It can be difficult at first to make yourself stick to it, especially if you're already a writer, but it's worth it. I have this book on my shelf but have only read a bit. Good reminder Anne. Good timing too, because I'm starting an Artist's Way group online today. Thanks for the info on training your muse, Anne. Seeing mine doesn't want to come out to play, doing some kind of training might be what I need. Best of luck with the Artists Way course, Keziah. I find that the "you must write 3 pages" of the morning pages gets in the way of my muse. I'm fretting about quantity, then, and writing self-consciously. For me, 15 minutes is much more doable. And I'll often write three or more pages, but that's because it's flowing. But there's no one way to do it — different systems suit different people. Thanks Helen for the lovely comment about my books and Jo's. Helen R-S, it can be difficult writing if you're not a morning person. Sometimes I'll write with my eyes closed — usually only when an idea comes or a scene is unrolling in my head and I need to get it down or I'll forget it. I learned from a blind woman how to write in the dark — you use your left index finger as a line marker, moving it down at the beginning of each line. But for you it might just be best to write when you're a bit awake. dreamy is good, though. I haven't read Brande. I will now keep an eye out for the book. Cameron's work didn't happen to 'call to me' right at the time I read it. It may in the future. Who knows? I have to get over the hump of thinking of myself as an 'artist' instead of a craftsman, I guess. 'Artist' always seems to be putting on the dog a bit. I have found -- you mention this, Anne -- that writing with my eyes closed, (typing, in my case,) makes the words flow easier. In those early morning sessions when I sneak out of bed at five to get some writing done, it helps if I don't turn on the lights. When the light hits your eyes it kinda snaps you from one 'state' into another. Annie D. here, for ease of identification. I had not thought of writing immediately on waking, but it makes so much sense. I often have dreams within dreams that confuse me utterly when I awaken. When those happen, it takes me two tries to realize I was dreaming. At first, I think part of the dream actually happened, and was the trigger for the "real" dream. A few minutes later, I'll realize the whole thing was a sham. I'd say my SuperEgo/internal editor is off duty during those times. Anne, I also find the quantitative approach intimidating. For me, the 15-minute commitment is less threatening, as it means even one sentence is acceptable. I never was good at math. Anne, this was a fascinating post. I used to write when I first got up and I got out of the habit. I've often dreamed solutions to plot problems, but I lose them if I don't get it down right away. THE ACCIDENTAL BRIDE also sounds good, so I have another book on the tbr list. Thanks for posting and thanks to Jo for introducing you to me. Once upon a time the outside world gave me a break--six months to see if I could write. With no pressure to care for anyone else and a high enough credit limit, I ignored the fact that I was unemployed and dove in. I fell into a daily ritual. It began with that groggy half awake, half asleep dreamlike state. I would then fly out of bed and write for three or four hours. Breakfast came after. The, off to the public pool for an hour of laps. In the pool my logical mind would work out plotting issues that my unconscious mind had ignored. Back to work, I'd write like crazy again. Whenever I got stuck, I wouldn't bang my head against the keyboard, I'd lay down to "nap." But I didn't sleep. I'd find that space, that lucid dreaming land and I'd know exactly what to put on the page. I finished my first two novels in six months. I lived and breathed those characters and those stories. I thought about them throughout the day and dreamed about them at night. Lucid dreaming really works! It's an incredible tool. I can't tell you how much I want to have the freedom to immerse myself in writing again. It's so much more fun when it's full time. But this has been a great reminder. It was the process, accessing both the conscious and unconscious mind that fueled that burst of creativity. Sure I had all day to devote to the process and that was a luxury I don't have now. But this is something I can do and will do--15 minutes twice a day. Great idea. Annie, what a timely post. (Thanks, Jo, for inviting her over.) The most success I've ever had in keeping the flow going was when I was doing the morning writing. Your book looks intriguing. If I don't win, I may just add it to my Amazon shopping cart. Anne--pardon me, I spelled your name wrong in the previous post! Got it mixed up with one of the commenters, who is named Annie. Sorry about that! Thank you for jogging my memory! Unbeknownst to me,I used Dorothea's method for long months to great effect! UnitlI fell out of the habit. Now, with method safely pinned to my corkboard, I'll be reminded not to abandon it. Thank you for reminding me--and thank you for writing such fabulous romances. Rachael, I'm glad you liked the post. The system works for me. But a lot of the discussion is focussing on the morning pages. IMO the appointment to write is just as crucial. 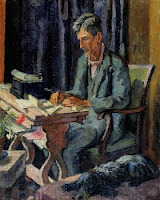 The thing is, you make the appointment in the morning, when you've done your morning "automatic writing." By deciding in advance on a time to write again-- particularly if you're working on a project like a novel-- it prepares the unconscious to write. You think about the next scene you're going to write and as you get through your day, running messages, doing chores and paid work, etc, you've probably forgotten about it, but your subconscious is ticking away getting ready to write it. And sometimes it feels less like writing and more like downloading your story as fast as you can type or write. And that, as Dorothea would say, is the magic. Jo, I can't see myself as an artist either. Craft of writing is my concern. I like the word "wordsmith" too. Sometimes I bash out words in rough shapes like a big hairy blacksmith and sometimes they fall into place in a way that delights me, so not a master wordsmith, yet. 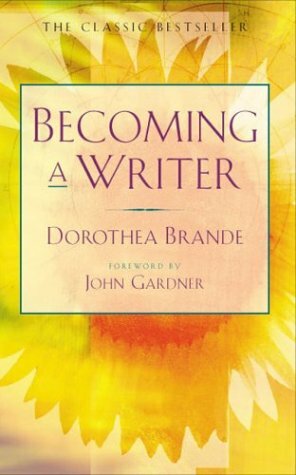 You'll probably find Dorothea Brande's BECOMING A WRITER on a library shelf. Annie D, I think that's it, entirely -- let the dream and the words flow as they will without the internal editor. Nobody will ever read these morning words except you, so you can be as wild and free-ranging as you like. But don't forget the appointment to write — it's the bit where the freedom of the morning seeps into the words you're producing for a purpose, and the internal editor stays away, too..
Oh Julie, I know that feeling. Sometimes I've had the best ideas for a story or a brilliant solution to a plot problem -- almost invariably coming to me either as I drift off to sleep at night or when I'm only half awake in the morning, and it's so brilliant that I'm sure I couldn't possibly forget it, so I don't write it down. But later it's gone, wholly and completely. The only memory of it is the sure knowledge that it was brilliant! LOL. It's like fishermen -- the one that got away was always the biggest and the best. So yes, always write everything down. Allene, what a wonderful story. And I suspect your routine was perfectly balanced for producing novels - a regular habit of writing and exercise. And exercise with water. I was at a writers conference recently and so many writers throughout the weekend commented on how water -- whether in the bath or shower, a swimming pool, a river or the sea -- stimulates their creativity. Water, they said, was crucial to their writing. So it's interesting you swam. I'm having a small chuckle here -- the last two comments I've posted, the code words blogger spat up to me to type were rather pointed. The first one was "terse" the next one "blether" so clearly it thinks I'm blethering on too much. LOL. Beth, try the morning writing, but also the Appointment to Write -- you need both, IMO to really get the muse going. And never worry about calling me the wrong name. A good half of my friends call me Annie. I happily answer to Anne, Annie, Annabel and many other variations. Aw Donna thanks for the kind comment. And all the best to you — and everyone — with the writing. Really? I wonder if they are all water babies, like me? I can blame that one on astrology. I'm a Cancer, Pisces rising, Cancer moon. All water. I once cracked a joke about it and said that since baths inspired songs, what would happen if I reached out to my muse while I was in a hot tub? Well... it worked. I started writing a musical play. Still have the rough outline and the beginning of three songs. Someday I'll try and finish that one. But I think I need to get a hot tub first! I just want to emphasize what Allene said, because I think it's brilliant: "Whenever I got stuck, I wouldn't bang my head against the keyboard, I'd lay down to "nap." But I didn't sleep. I'd find that space, that lucid dreaming land and I'd know exactly what to put on the page. Lucid dreaming really works! It's an incredible tool. " I do this too, lie on the bed and dream up the next scene. Lucid dreaming -- print it out, folks and stick it on your cork board of inspiration. I had never heard of Brande's book before now, but I will certainly be getting a copy soon! I have been trying to write the last chapter of my current WIP for WEEKS and it just isn't coming at all. And I have let what I call "the outside world" - work, housework, difficulties with friends, you name it interfere. I am willing to try anything at this point. I was quite disciplined when I was studying music and then later singing professionally. I have yet to work into that sort of schedule as a writer. This just might do the trick. I used to get up and vocalize first thing in the morning just to see what the voice was going to be like that day. This is the same sort of thing. Thanks for a very inspirational post! That would be I love your books ANNE. Sheesh. I was at work at 5 AM this morning. My mind is still there, I think! Louisa, half my friends call me Annie, so don't worry about the name. And thanks for the compliment about my books. I do think getting a routine established is a big part of the difficulty in becoming a professional writer. I hope Dorothea's magic comes to you. The other thing is, if you're stuck in a wip, brainstorming with a friend might help. Often when you (and I mean a general kind of you that includes me in it) are stuck the brain tends to explore the same paths over and over. A good brainstorming partner will derail you from that well-worn path and force you to look at your story from a different angle and that's when you come up with the solution. I've heard people talk about "morning pages" for years, but never knew where the idea came from. I'm very eager to try this!! Thanks for the post! Gorgeous cover, Anne, and I know it's a fabulous book. Here's to a sparkling book launch! I'd forgotten Dorothea, Anne, Thanks for reminding me. The late Anne Weale first pointed me in her direction. She'd been using the book since the fifties and she wasn't the first generation to do so, either. 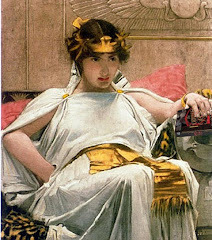 Dorothea's 15 minutes, especially if barely awake, used to unlock my inner virago. A real blessing after too many years of being well-behaved, and on-the-one-hand-on-the otherish in the day job. Starting tomorrow, look out world! Great blog, Joanna, thank you. And Anne, lovely cover, gorgeous book. Glad the post has inspired you to try it, Elisa. I hope you'll rport in after you've tried it for a bit. Waving to Kelly Hunter -- writer of gorgeous contemporary romances for Harlequin. I don't see what the problem is, Kelly -- birdsong, coffee and George Cloony sounds just perfect to me. That's what morning pages ARE! Daydreaming. Legitimate. Wot romance writers do fer a crust! Can't beat it for a job. Waving to Jenny in London. I have some old Anne Weale books on my shelves still. 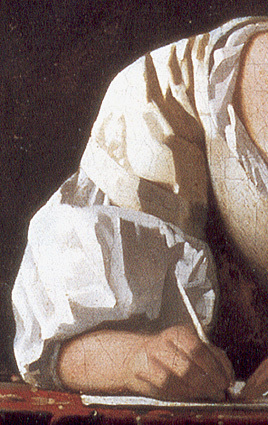 How interesting that she read Dorothea. Jenny, I would LOVE to se your inner virago unlocked. She's probably dying to get out and have a rant and I can't imagine anything more stimulating. Go for it. And yes, Joanna's blog is wonderful but it should come with a warning -- you can lose large chunks of the day while browsing through so many wonderful posts. Like Alice. I know. I've done it. Anne Gracie has chosen you to receive a copy of her new book, 'The Accidental Wedding'. Can you get in touch with me to claim it?